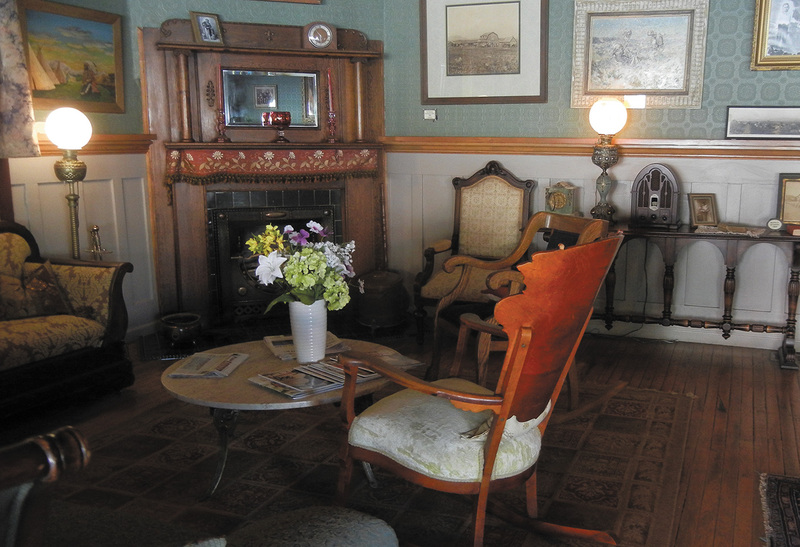 The Occidental Hotel is a must-see stop for tourists in Buffalo, Wyoming. A little town only 70 miles west of Gillette offers a large array of Western-themed sights. Logic would say that Buffalo, Wyoming, was given the same name that was mistakenly bestowed on the bison that roamed the area. But actually, it was just plain luck. Possible names for the new town were written on slips of paper drawn from a hat. The winning name was suggested by a man from Buffalo, New York. And since nearby Fort McKinney housed more than 300 soldiers, over the next few years Buffalo attracted merchants, miners, teachers, and others. The old Occidental Hotel, built in 1880, remains open for business. Originally, this fine establishment was known for its gracious hospitality and fine dining, and it still is. The list of previous guests is long and storied: Buffalo Bill Cody, Calamity Jane, Theodore Roosevelt, Butch Cassidy, Ernest Hemingway, and others. By 1980, the hotel was in ruin, but 10 years later, it was beautifully restored to reflect the past. Now visitors can sit in the parlor filled with period furniture and watch as an appropriately dressed desk clerk answers a vintage dial telephone. Photographs of the hotel’s former notable guests line a hallway. Heroes and villains once drank and gambled at the hotel bar, where the tin ceiling still sports bullet holes. Live bluegrass music fills the saloon on Thursday nights. The hotel’s Virginian Restaurant was named for the book The Virginian by Owen Wister, who supposedly wrote chapters of that novel while he was a hotel guest. Appropriately, the hotel motto is “Where the Virginian Got His Man.” The fine-dining restaurant serves high-end steaks, seafood, and more. The Bittercreek Band performs Friday and Saturday evenings. Also at the hotel, a laid-back café called the Busy Bee serves breakfast, lunch, and dinner and has an old-fashioned soda fountain. Jim Gatchell, a pharmacist and drugstore owner, amasssed an impressive collection of artifacts that are now on display at the museum that bears his name. 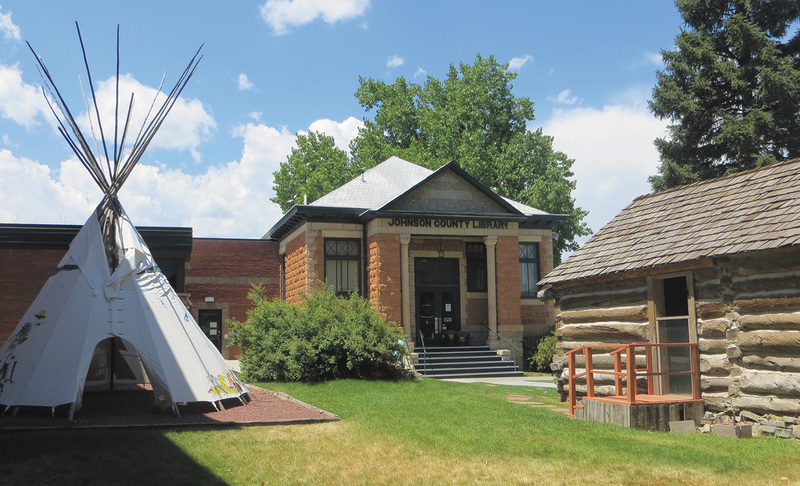 The Jim Gatchell Memorial Museum offers another look at local history. It is the fulfillment of one man’s dream and commitment to his community. 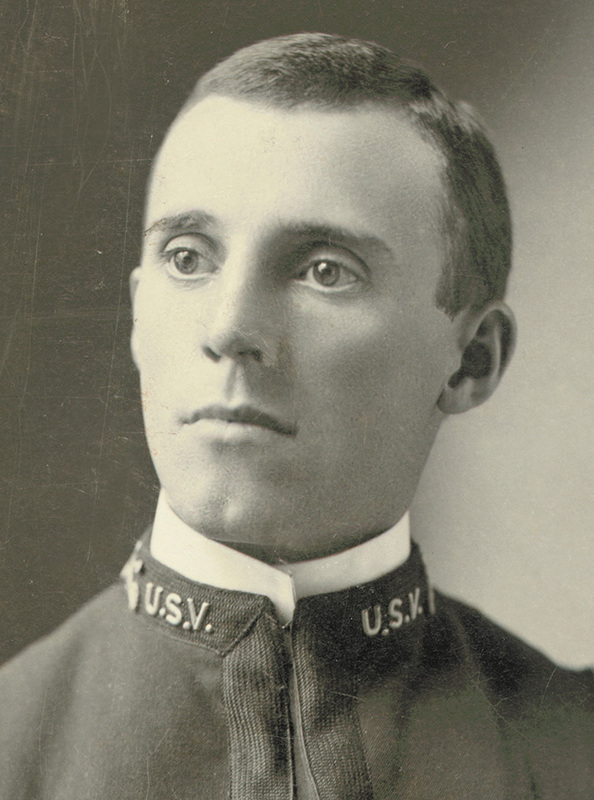 From 1900 to 1954, Gatchell, a pharmacist and drugstore owner, provided for the people of the area, including local Indians, cattle barons, and military personnel. In return, he was presented Indian war bonnets, tools, medicine bags, guns, and assorted items of treasure and practical use. His collection was augmented by more donations from the local community. Among the historic buildings that make up the museum is a former Carnegie library, built in 1909. It now serves as the main entrance. Outside sits the Jenkins family log cabin; the 1916 structure was relocated several times before the family donated it to the museum. It illustrates the perseverance that was required to endure severe weather, isolation, and lawlessness to eke out a living in the West. The carriage house is filled with the horse-drawn carriages that brought settlers to Buffalo. A reproduction of an American Indian tipi helps demonstrate what life was like for the first peoples of the area. Gorgeous saddles, intricate beadwork, rugged furniture — the items recount the lives and struggles of the Indians and the settlers who inhabited the area. Admission is $7 for adults; $5 for seniors, retired military, and teens; and $3 for ages 6 to 11. Visit www.jimgatchell.com or call (307) 684-9331. Antique furnishings fill this sitting room in the Occidental Hotel. Native chokecherries — small berries with a big taste — can be seen along the drive through the Bighorn Mountains. To sample jams and jellies made with these berries and, perhaps, buy some as gifts or for yourself, head to Johnny Midnite Gourmet and Wahoo Frontier Toppings. Owners Jeff and Amy Sawyer make jams, hot sauces, salsas, and ice cream toppings. Just be sure to let them know your level of heat tolerance. Some of their hot sauces might make steam come out of your ears! Check the store website, www.johnnymidnitegourmet.com, for more details, or call (307) 684-8511. Another handmade item that can be quite warm is woolen clothing. The area’s wool industry started in the early 1900s when Basque sheepherders from Spain and France settled in the West and herded sheep during seasonal migration. American wool was in great demand until the market declined in the late 1990s. A local family seeking to preserve this unique Western heritage now operates Mountain Meadow Wool in Buffalo. It’s a mill as well as a retailer of wool yarn and clothing. Using only locally raised wool, the mill performs all the work needed, beginning with cleaning and spinning it into yarn. Whether you enjoy working with yarn or wearing beautiful knits, a tour of the mill will increase your appreciation of this excellent product. 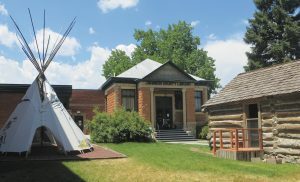 An original 1916 log cabin and a reproduced American Indian tipi are part of the Jim Gatchell Memorial Museum. Tours cost $10 (free to children 12 and under) and are offered Monday through Friday at 1:30 p.m. After the tour, browse through the shop for gorgeous knitwear, blankets, and throw pillows. If you are a knitter, you will find a treasure trove of lush yarns in which to indulge your love of the craft. More info: www.mountainmeadowwool.com; (307) 684-5775. Why are so many places named “Crazy Woman” in the Buffalo area? Local legends tell of a woman, either a Native American or a settler, who was the lone survivor of a brutal attack on her village and never recovered. Today, visitors can drive through Crazy Woman Canyon, which is best explored in a regular vehicle (not an RV), along a sometimes-rugged road that meanders through steep cliffs and past massive boulders. Along the route are Crazy Woman Creek and Crazy Woman Battleground, site of an 1866 clash between Indians and U.S. soldiers. In town, a walk through Crazy Woman Fine Art Gallery shows the talent of several local artists, some of whose works are displayed elsewhere in a big way. 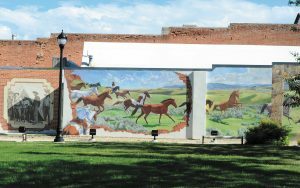 Murals grace some downtown buildings, creating a bright background to strollers on the sidewalk. 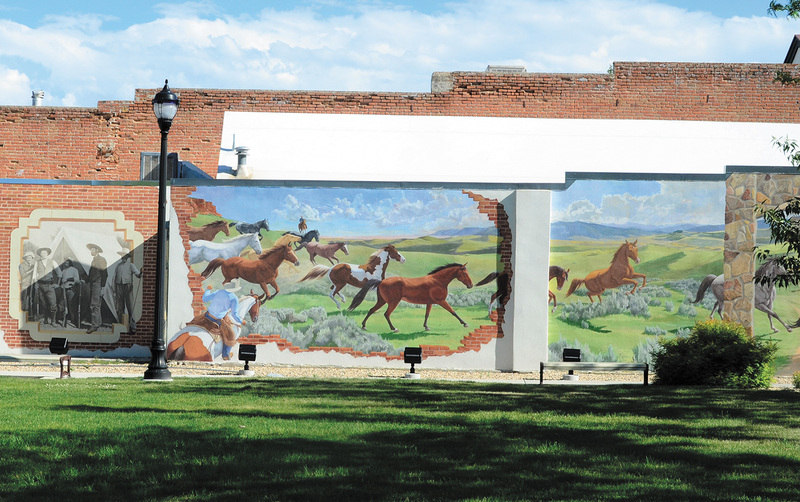 Buffalo, Wyoming, celebrates its heritage with colorful downtown murals. Another, newer famous name exists because local writer Craig Johnson used Buffalo, Johnson County, and the state of Wyoming as the setting for his Longmire mystery book series. The TV series “Longmire,” which ran from 2012 to 2017 on A&E and Netflix, was based on the novels. Longmire Days will be held August 10 to 12, 2018, in Buffalo with guest appearances by actors from the show and other fan activities. 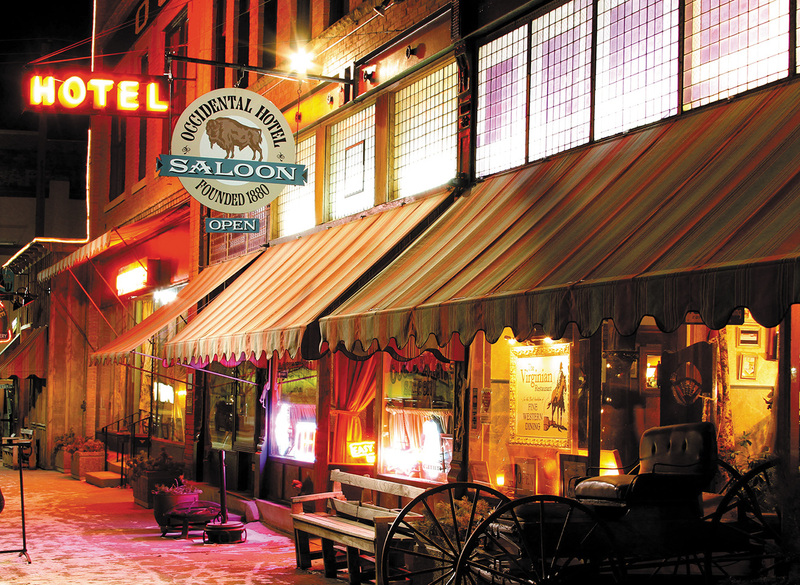 Whether you stop for a few hours or spend days surrounded by the beauty of the Bighorn Mountains, Buffalo is an enjoyable trip back to the Old West. 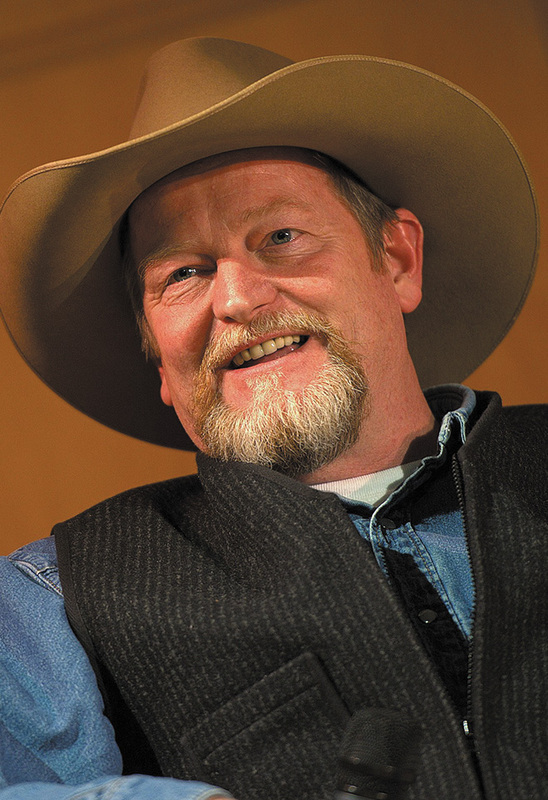 Craig Johnson is the best-selling author of the Walt Longmire Mysteries series, upon which the popular A&E and Netflix show Longmire was based. He will be a special guest at FMCA’s 98th International Convention in Gillette, Wyoming, this July. Johnson, who lives a few miles from Buffalo in Ucross (population 25), has won numerous book awards, including a Publishers Weekly Best Book of the Year award. More than a dozen books are in the series now, and a new novel will be released in September 2018. For more details about Craig Johnson’s visit to the FMCA convention, look for updates on FMCA.com. The following may not be a complete list, so please check your campground directory or the RV Marketplace, listed on FMCA.com and in the January issue of FMCA’s magazine.